Ever wonder what novelists Ta-Nehisi Coates and Benjamin Percy do on the side for fun? They and many others have gravitated to writing graphic novels. That's right, graphic novels! Four color superheroes have had a resurgence as of late and many authors, such as Percy and Coates, have been trying their hand at visual storytelling, and doing it very well. 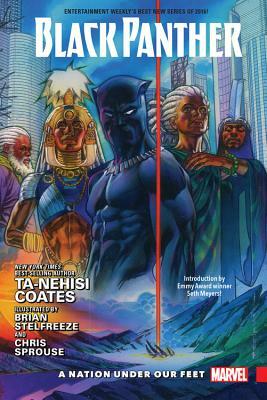 Coates has been at the helm of Marvel's Black Panther line for nearly 15 issues now and has created an amazing new literary take on the character. Meanwhile, back in the Batcave, Ben Percy has been cranking away at both the Teen Titans relaunch and Green Arrow for DC Comics. If you are a fan of either of them, these 'comic books' may scrath your itch while you wait for their next novel to hit the shelves.